Phentermine hcl 37.5 mg canadaZolpidem online shop Order Now! Protect your garbage and recycables from seagulls, crows, and roaming animals. Weighted rope means the cover stays put. 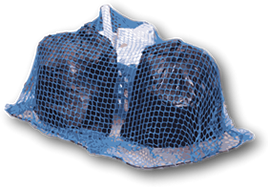 Lightweight 1” nylon mesh keeps pests out without harming them. Fling-It Visit our Facebook Page! King’s Enterprises, located in Springdale, Newfoundland and Labrador strives to provide its customers with safe and easy to use products that preserve and protect our environment. Copyright © Fling-It 2009. All Rights Reserved. Get your Fling-it® cover today!